After an accident, people have always turned to their own community for help. Crowdfunding sites like GoFundMe, IndieGoGo, and Giveforward have made it even easier for injured victims and their families to ask for and receive help from their friends and family. But these sites have a dark side: there’s rarely any way to verify that the person receiving the money that donors offer is who they say they are. Scammers are taking advantage of that security flaw. A Seattle woman named Bri was seriously injured in South Africa when she crashed into a concrete wall while paragliding. Her medical bills were staggering; it cost $150,000 just to medivac her to Seattle for treatment. Her family created a GoFundMe page to help with the bills, which has managed to raise over $50,000. Then scammers caught wind of the fact that this page was popular enough to get substantial donations. They replicated it on another site called Giveforward, using the text and pictures that Bri’s family put up. To donors, the two pages seemed identical; if someone in the know hadn’t alerted Bri’s family to the fake page, they could have lost thousands in donations from well-wishers. Fake charities soliciting donations have been a problem throughout human history, but in the internet age, it’s easier than ever to pretend to be someone you’re not. This isn’t the first time that a crowdfunding site has been used to scam people. Stories abound of people using these sites to steal money meant to help a baby in need of heart transplants, a family struggling after the loss of a young mother, and parents reeling after a car crash that took the life of their daughter. And in all those cases, a victim really did exist; other scammers have faked breast cancer, injuries in the Boston Marathon bombing, and more. 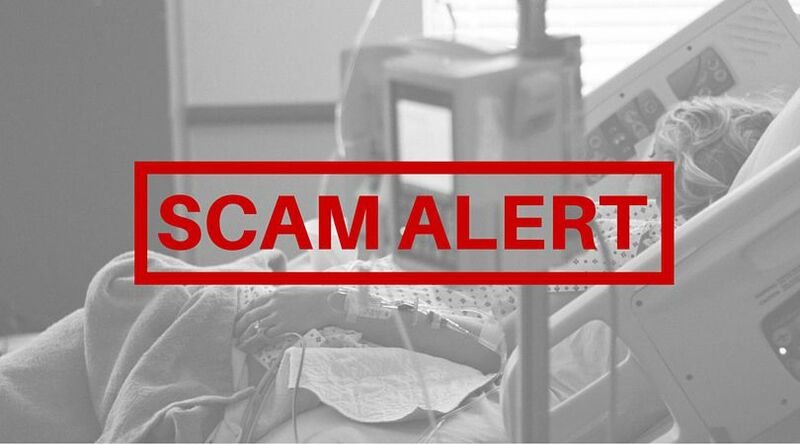 These scams are especially insidious because they prey on people’s best intentions. Everyone wants to help out an injured friend or grieving family, and few people are able to stay clear-headed and analytical in the face of tragedy. If you come across a page associated with someone you know on a crowdfunding site, ask them if they set the page up before donating. Do a quick google search before donating to check whether the same page is duplicated across multiple sites. If a page is being administered by someone other than the person who is supposed to receive money, ask them who they are and how they plan to get the money to the person who needs it. Make sure you get this in writing. Offer to write a check directly to the person who needs it instead of donating through a crowdfunding site. If the case being talked about is news-worthy, check the name of the person who is listed as a victim. News sites should be mentioning their name. Someone who is absent from a list of victims, when news organizations have been talking about other victims, should raise a red flag. If you have been involved in an accident, contact a personal injury attorney at Davis Law Group.